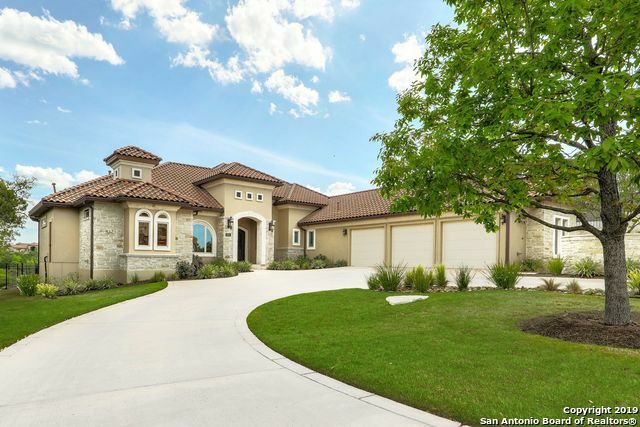 All TERRA MONT homes currently listed for sale in San Antonio as of 04/22/2019 are shown below. You can change the search criteria at any time by pressing the 'Change Search' button below. "Lovely to be built one story in a guarded community with 360 degree views! Four Spacious bedrooms downstairs including a guest suite, a well designed master wing, open kitchen overlooking an open great room. Upstairs boasts a possible 5th bedroom and recreational room with optional balcony. Tile roof 3 car garage sits well back into partially cleared lot. 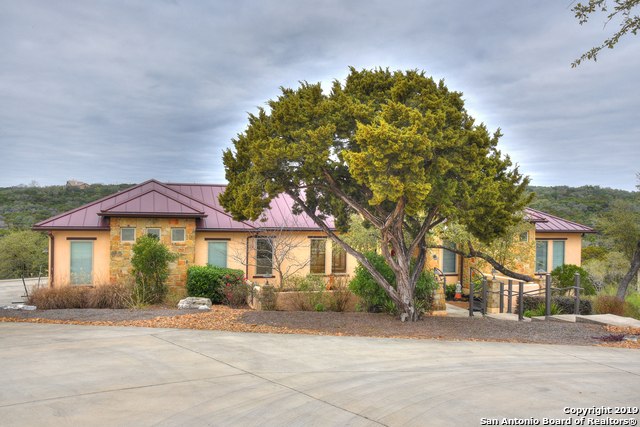 Guard at the gate; 43 acre park tucked away close to La Cantera and more! 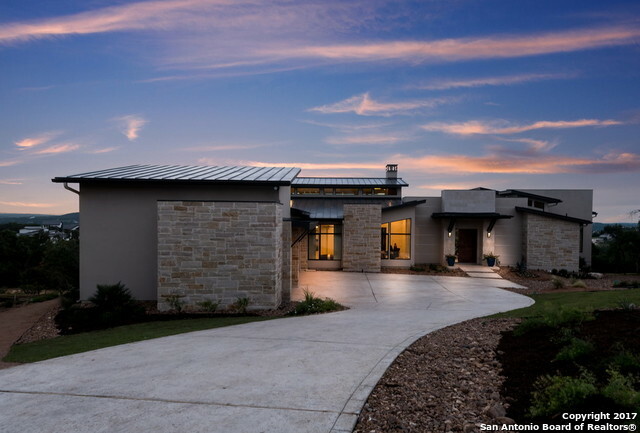 Make all your choices and customizations on your Dream Home today"
"Secluded from the hustle & bustle of the city, this 4 bed-3.5 baths contemporary home sits atop a hill with beautiful vistas. The gravel & stone walkway accented with local flora gives the area just enough wildlife while still maintaining a modern feel. The combination of modern & traditional features makes a welcoming living experience! This home is designed with luxury & comfort in mind. 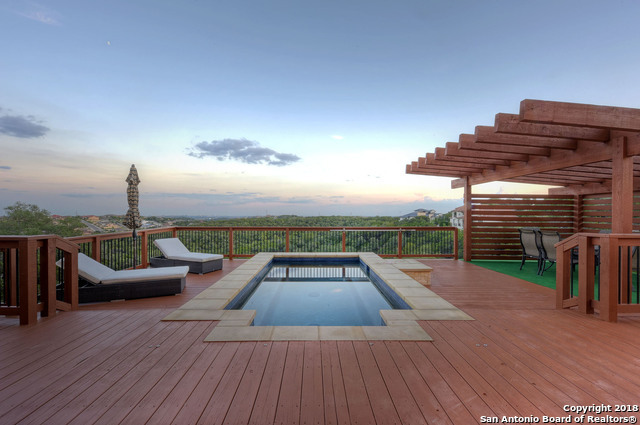 Every space is ideal for family togetherness & growth, entertaining & for living in the best luxury SAT has"
"Hill Country Views in Terra Mont! Incredible 2 Story w/ Dual Masters. Open plan w/ great natural light. Huge Isl'd w/ Quartz Counters in Main Kitchen w/ Custom Cabinets & Dble Ovens. Wood Flrs, Large Stone FP in Liv Rm. High Ceilings w/ Beams & Designer Colors, plus Media Rm. Walk In Closets in BRs. Lower Level w/ Aux Kitch, Liv Rm & 2nd Master. Courtyard entry, 3 Patio Decks, Spray Foam Insulation, 2 Tankless Heaters Metal Roof, Side Entry Ovrsze 3 Grg. Amazing Amenity Ctr. Close to 10/1604, La"
"Old world luxury combined with modern amenity give this home the best of both worlds. The old world exterior presents a high end look that will never go out of style while the refined interior is outfitted with a fully custom yet very intuitive layout that is sure to work for you and your family. Build to Suit, photos are samples only"